Staples or Office Depot? Soon, you might not have to choose where to buy your color-coded folders, highlighters, and binders. Staples agreed to purchase Office Depot for $6.3 billion in cash and stock, a deal that would pretty much consolidate all the office supply stores ever. This might raise questions of a monopoly on automatic pencils — how can we have only one office supply superstore? This is America! But financial experts say the Federal Trade Commission will probably not raise antitrust issues. 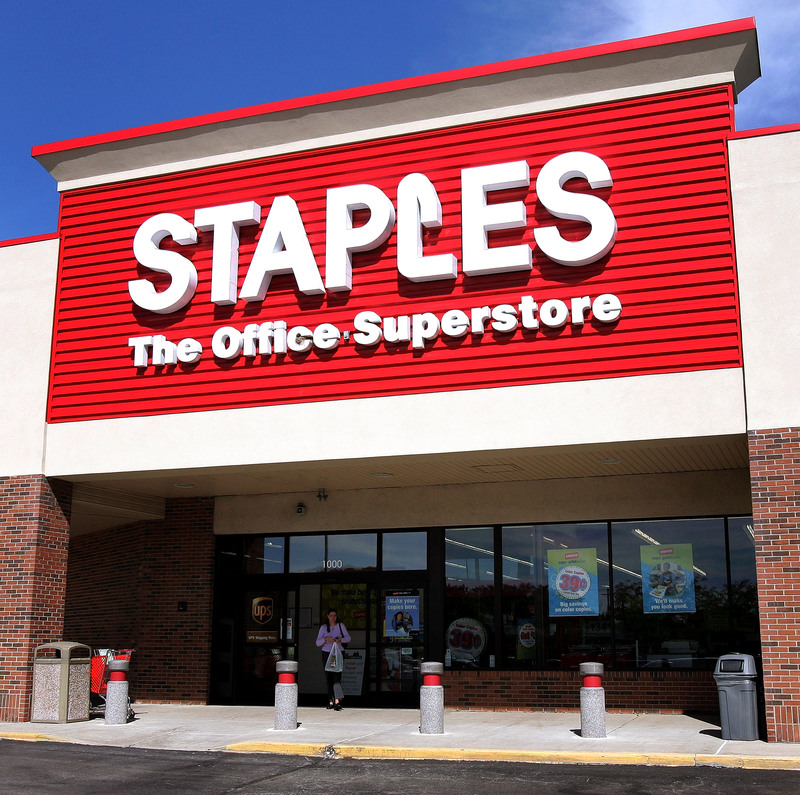 In any event, the companies involved don't seem too concerned about the deal falling through, since Staples is offering Office Depot a relatively small break fee, even if most of us wouldn't turn up our noses at $250 million. The two swivel chair retailers first attempted to merge in 1997 for $4 billion, but a federal judge shut down the merger, ruling that allowing Staples and Office Depot to combine would permit them to raise prices with impunity. At the time, The New York Times cited the stores as "two of the three major competitors in the field." What was the third "competitor"? As it turns out, the third competitor has already been eliminated — Office Depot purchased OfficeMax in 2013 for $976 million. With that merger, Office Depot became a company worth $17 billion — which is evidently about exactly how much Staples is worth, considering the estimated combined value of the two companies is $34 billion. Amazon just launched a business-to-business office-products initiative. They’re knocking on the door. When the deal was first proposed in 1997, Amazon had only existed for three years, and they were only selling books. Overall, there was simply not as much competition facing the office supply industry. But it's been a while since Staples or Office Depot saw a rise in North American same-store sales, which compares the sales from year to year at retail outlets that have been around for at least one year. According to The Wall Street Journal , the last time same-store sales rose was 2007 for Staples and 2006 for Office Depot. What does all this mean for you and where you will buy your next desktop organizer? Well, there are no concrete plans, so the fall 2015 back-to-school season will probably still see the existence of both Staples and Office Depot. But the companies hope to complete the merger — if approved — by the end of 2015, so start picking a side now: Super-Staples or Amazon?